Friends! It’s been exactly two weeks, since I promised to help my fellow readers (traders) to help make money by trading in the stock markets. However, in the last two weeks I could give any updates as my strategy advocated against it. 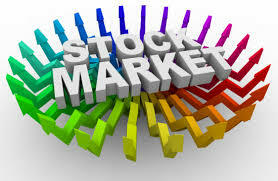 Off late we have seen the markets are making so much of noise, and there are so called hope-rally going on in the markets as the general elections are scheduled to start next month. The markets are hoping for Modi win, which can be a fillip to the Indian economy and the corporate world. This is precisely the reason, why, I have reframed from entering the markets. As the stock prices of my selected stocks – ABCD – ACC, Bharti Airtel, Cipla and DLF ran-up ahead of my expectations, not letting me any entry point. Just like Life – in markets too there is no short-cut to success. If your strategy of the situation demands you to exercise patience, you should be willing to do the same. More importantly, let me explain in the words of Colin Powell, the former US secretary of State and an ex-army general – There are no secrets to success. It is the result of preparation, hard work, and learning from failure. Trust me, in markets the hardest thing to do is to remain patient, waiting for the right time and right price to enter your trades. If you can accomplish this than you have improved your chances of winning by more than 50 per cent. Back to the ABCD portfolio – out of the four stocks I would recommend trading in only one stock for the moment which is ACC. The cement major charts are fairly strong on the weekly and the monthly charts – thus making it a good long-term and medium-term bet. Ideally, I would prefer to buy the stock closer to Rs 1,140-odd levels. For now, aggressive trader can consider buy ACC at current market price (Rs 1,266) with a strict stop at Rs 1,250. 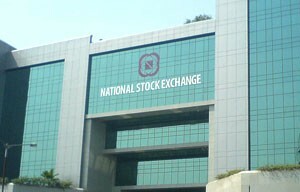 On the upside, the stock can soar to Rs 1,340-odd levels in the near term. A quick view on the other stocks – Bharti Airtel seems poised for some more gains. 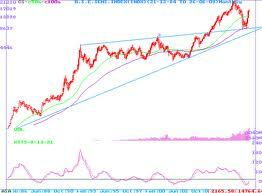 The stock may find support around Rs 290-odd levels and on the upside rally to Rs 309 odd levels. Cipla seems one of the better stocks to trade going forward. The stock is now entering a range-bound phase, wherein we may witness a long consolidation in the range of Rs 365-390 odd levels. Wait for Cipla to fall towards the lower-end of the expected trading range before we commit a trade. DLF is a high beta stock – it may give high returns in a very short time. However, since the stock has run-up considerably the entry point seems dicey at the moment. However, one can consider the bias to be positive as long as DLF sustains above Rs 168. Happy trading, happy investing – Be safe by using the stop loss always. Disclaimer: Trading is a risky business. The author intends to only share his views on market trading strategies. Readers are advised to do their own due diligence before entering any trades.